For the outdoor ceremony, we hung greenery from the pergola on the edge of the lake. 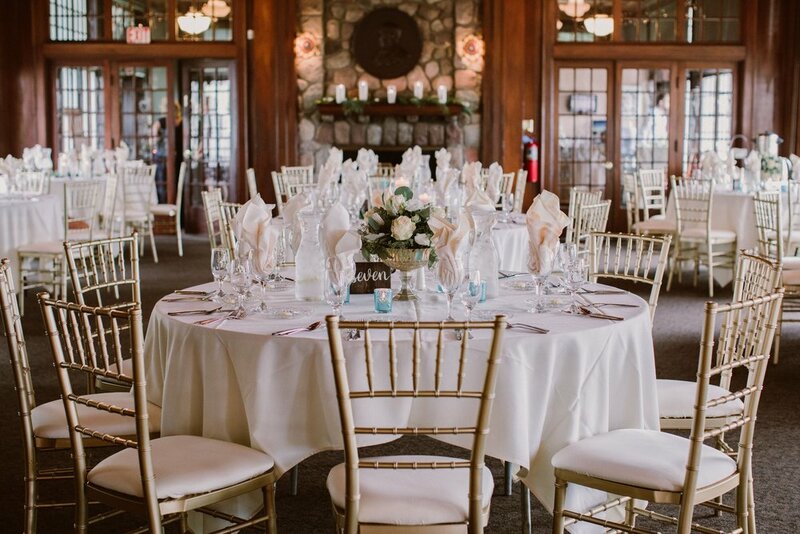 This location served as the spot for the couples’ first look and where they said the sacred two words of ‘I do.’ Our fun loving couple enjoys a good game night with their friends and wanted to bring that joy to their wedding. They brought along with them a giant size connect-four, Jenga, and Disc Golf to entertain guests during their outdoor cocktail hour. Once we were ready to move the party indoors for dinner, the reception tables featured alternating center pieces comprised of candles, floral compote arrangements, and terrariums inviting guests to settle in for an evening of delicious food, fantastic ambiance, and a loving atmosphere to celebrate Marah and Joel. Congratulations you two; we love you big time!